In an exclusive interview with Restaurant India, Sahil Jain, Co- founder at Dineout talks about creating an experience through innovation. Sahil is a Bachelor in Electronics & Communication Engineering from B.M.S. College of Engineering, Bengaluru and later completed his MBA in Finance, Marketing and Strategy from IIM Kozhikode. He has explored diverse avenues like web analytics, call centre analytics and business forecasting for Fortune 500 technology and telecom clients in the US, before exploring his entrepreneurial side. Sahil is responsible for the complete product development and growth/retention strategies at dineout. 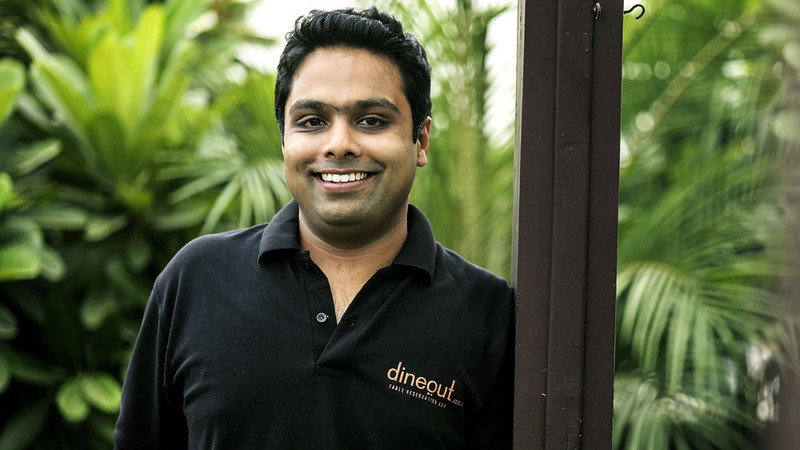 He co-founded dineout in early 2012 and positioned it as the premier table reservation service in India. Since then Dineout has grown multifold, raised a round of angel investment in late 2012 and in April 2014 it was successfully acquired by Times Internet. How are you creating a memorable experience for customers? There are various elements when it comes to creating a memorable experience. The kind of food being served on the table and the inquisitiveness of Chef with food inside the kitchen, everything matters. One of the vital parts is in- restaurant experience which we take care of. Starting from searching where a customer wants to eat to actually book the table for him/ her and then inside the restaurant ordering food on the tablets and phones so the customer has not to wait for the service boy. We focus on building innovative and scalable tech products. That is where technology and food comes together and improve restaurant’s efficiency to make things convenient for the customer which in turn undoubtedly led to an enduring experience. How do you blend innovation and experience together? Reservation by itself was an innovation way back in 2012 when we started the business. People thought that who reserves a table inside the restaurant but we did something out of the box. Six months back, we launched payments inside the restaurant through app which was another innovation. Earlier, cards and cash were the only options to pay. And, the biggest innovation was to helping restaurants in finding their diners. Restaurants now can recognize their diners and their palates as well. We bring experience by innovating for both restaurateurs and customers. Also, there are lots of ordering outlets in the market but business like ours is actually less which partners with restaurants and helps them grow. For example, we currently are the largest table reservation platform in the country and have grown to eight cities with over five lakh diners on a monthly basis. Do you think new trends affect food service sector? People now days don’t have ample of time at home since they started entering into corporate segments. Whether it is ordering inside the home or dining out, people love doing that which is building culture. Right now two hundred and fifty million dining is happening inside India every year which is about to double in next couple of years. As food industry is growing aggressively, there is huge potential for all be it an ordering player, delivery player or dine out player to grow and make a large space out of it.